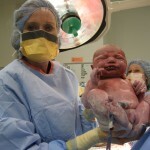 At 1750 (5:50PM) on 31 October 2011, Violet Jane came into the world. She was 7lb 11oz & 19 inches. She was due on the 29th, but was running late. We decided to induce on the 31st, but hours later there was little progress. We talked to our Dr about a possible C-Section in case things weren’t going well, but after hours of labor, it was looking more and more like we would have to do that. 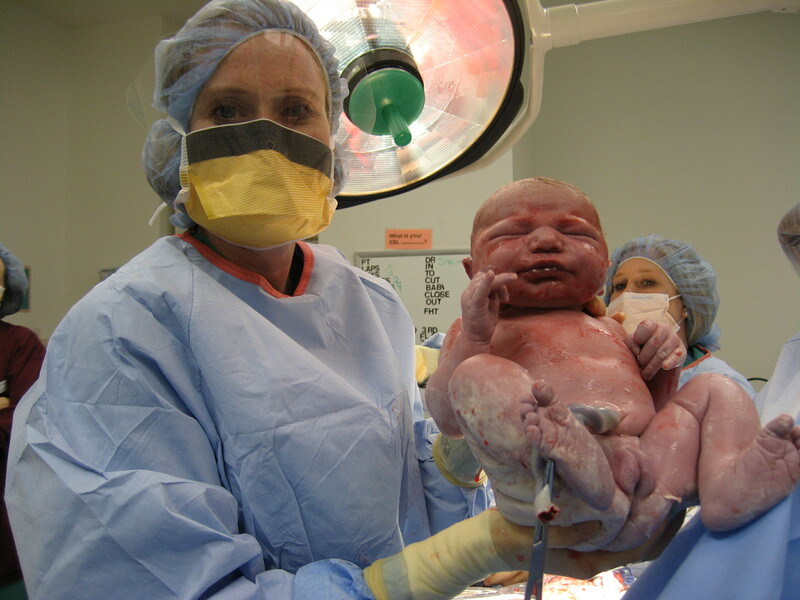 I was lucky and got to go into the OR with Kris and was there to bring our baby into the world. It was an amazing thing. Admittedly, I got to see more of my wife’s insides than I would have liked, but it was still an incredible experience. I cried when the Dr held up Violet and showed her to us. Yeah, she was all covered in baby cheese, but she was still perfect.